The new virtual era is already here. We use the internet every day, to retrieve information, to purchase merchandise, and to connect with others. 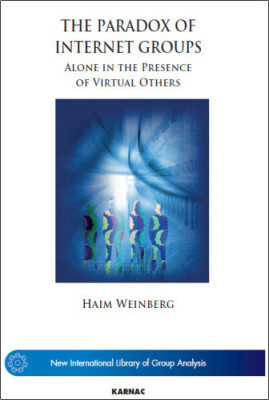 But do we really understand the psychology of the internet and how it affects our lives?In this book, Dr Haim Weinberg looks at cyberspace from a group analytic perspective, conceptualizing internet forums as large groups with the illusion of being small groups, and using his expertise as a group therapist to shed new light on internet connections. He explores issues of attachment, relationships, inter-subjectivity, and neuroscience, and shows their relevance to the virtual world. He discusses the question of intimacy and develops a new concept of E-ntimacy that better suits internet bonding. He also examines the multicultural issues found in internet forums, and the leadership qualities needed to manage these issues. Finally, he claims that there is a link which connects us through the world wide web: the internet unconscious.